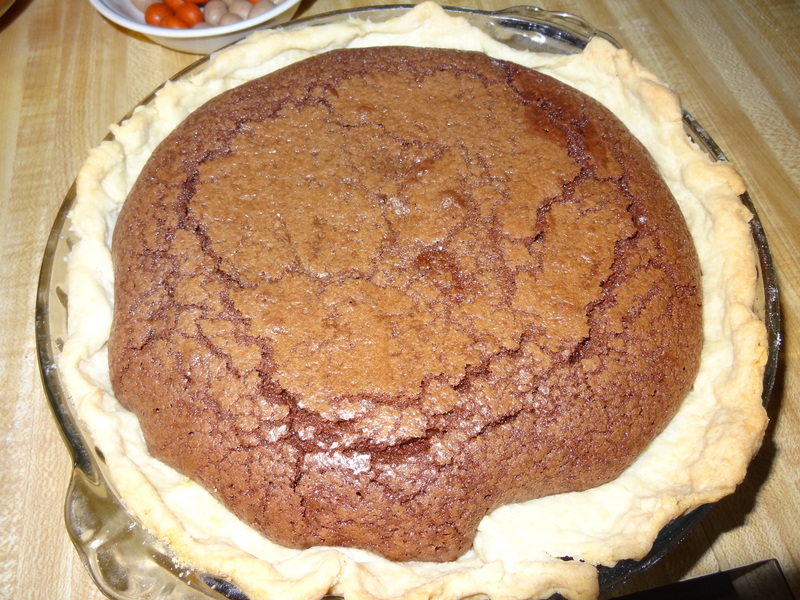 Fudge pie is on the menu of a family owned restaurant in Houston called Campioni’s. My parents-in-law just love that place and love to take us there. We always AGREE to go. 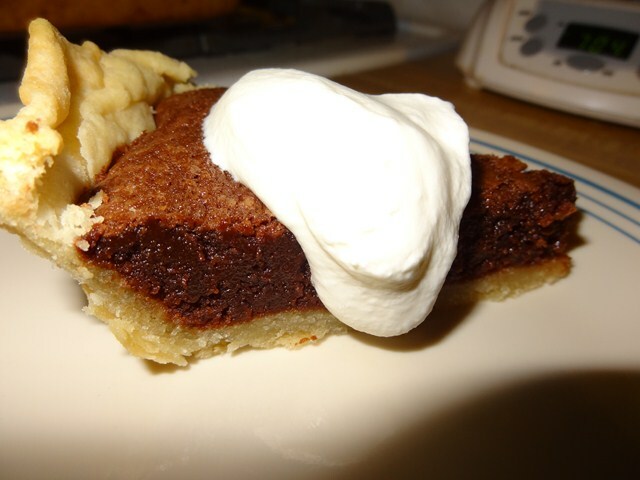 For dessert, they serve a fudge pie with whip cream and an amaretto ice cream ! Found this recipe on the internet and it turned out DELICIOUS! 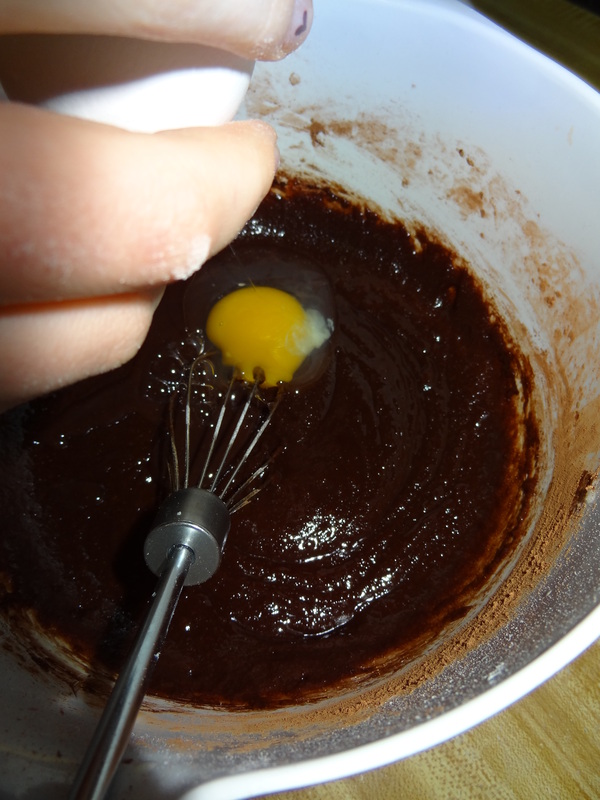 Combine all ingredients in large mixing bowl and whisk until well blended. 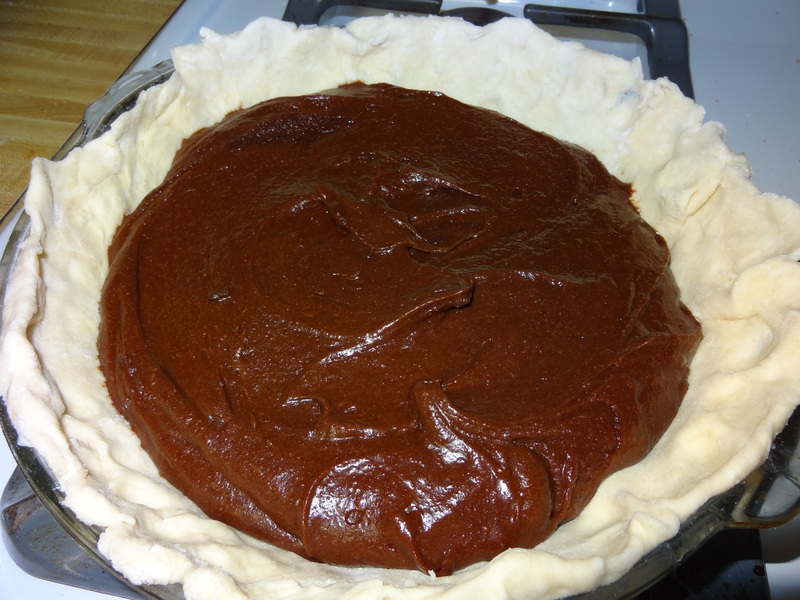 Pour into pie crust and bake about 35 minutes, or until center is set. AND Voilà the result buon appetito!